From the end of the year 2010 Dunkermotoren Ltd. is engaged in the production of micro motors in Subotica. 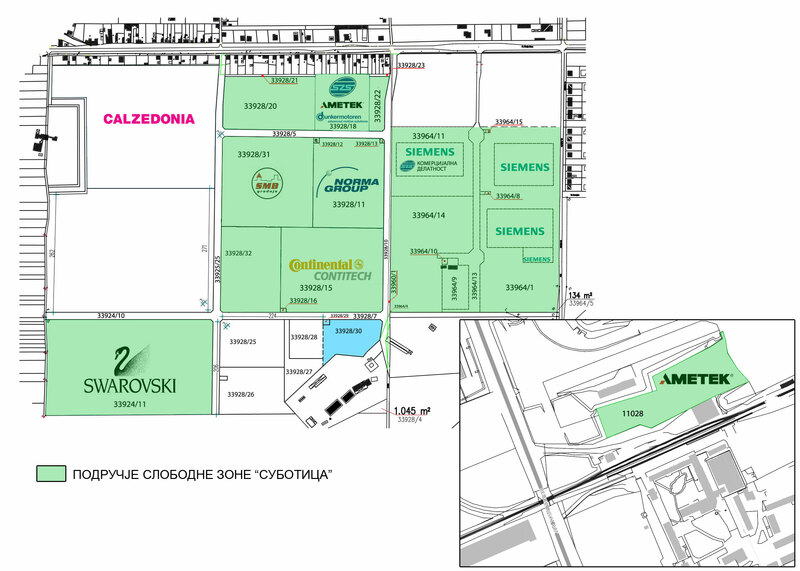 From October 2012, the investor operates within the tax-free zone regime, in a rented space within the production facility of approximately 4.800 m2 owned by the company Free Zone Subotica Ltd., on the Industrial zone Mali Bajmok. Dunkermotoren Ltd. currently employs about 80 workers and intends to employ about 200 workers in total. The company has implemented a development centre as the part of the investment. In September 2011, the Memorandum of Understanding was signed with the German company Norma Group, which is engaged in the production of components for automotive industry. This company, based on the Decree under which local government can alienate the land, met all the conditions and signed the Contract on November 23rd 2010 to gain right on ownership of the land without charge. From July 2011 the company Norma Group Southeast Europe Ltd. operates in the newly built production facility of about 13.000 m2, on the Industrial zone Mali Bajmok (Block C), within the tax-free zone regime. The Investor currently employs about 300 workers, and, by the end of 2013, has the intention to employ about 340 workers in total. The Memorandum of Understanding was signed with this company on 16th of February 2011. This company, based on the Decree under which local government can alienate the land, met all the conditions and signed the Contract on September 15th 2011 to gain right on ownership of the land without charge. From November 2012, Contitech Fluid Serbia Ltd. operates in a newly built production facility of 6.000 m2, on the location of Industrial zone Mali Bajmok, within the tax-free zone regime and currently employs about 100 workers. In following four years, the company plans to employ about 300 workers in total. Based on the economic and market conditions in the future, from the year 2015, the investor has the intention to build another production facility (second phase) of similar size on the same plot, and to employ around 400 workers.